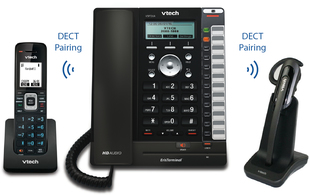 We are pleased to announce support for 2 new phones from the manufacturer VTech. Adding these phones to our supported range of phones add some nice features. The main selling point for this phone is a built in DECT base station. This makes this phone the cheapest and simplest solution for a wireless headset. If you have rooms or areas in your building with no network ports and all you need is a simple phone at that location then this is the desk phone for your. Quite often, the cost of cabling a few locations in a building where not enough network ports are can add significant cost to the project of rolling out babblevoice. 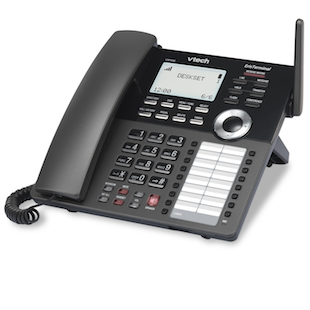 But a DECT base station which can then support up to four VSP608A phones means those costs go away.